Never think of vinegar again when you hear the words "apple cider." (SPOT.ph) Hear the words “apple cider,” and there’s a chance your brain immediately goes “vinegar.” It’s inevitable, especially since the condiment became trendy because of its supposed health benefits. Even Martti Uy, chief marketing officer of Manila Cider Co. shares that it’s a stereotype he struggles with, even with his own family. “I try to explain to my dad what we’re doing here and he always tells his friends his son’s making vinegar,” he shares with a laugh. But there’s no vinegar production happening at Joe’s Brew. 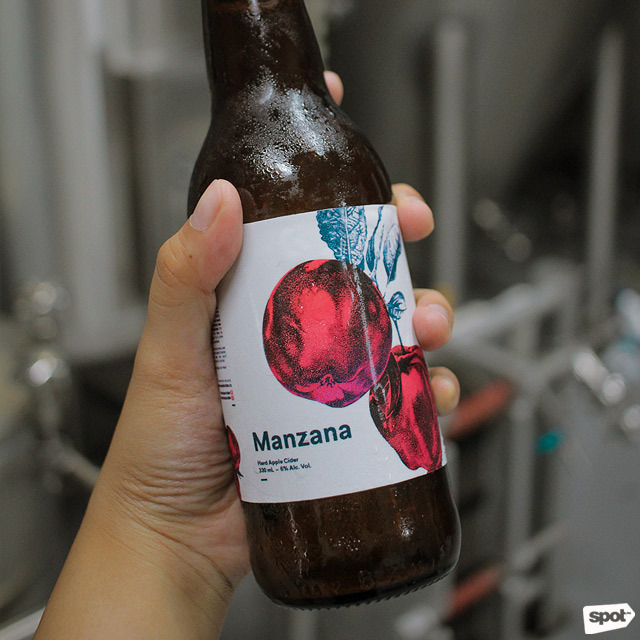 Martti, together with four of his friends at Manila Cider Co., are behind Manzana Cider, the first locally-made hard apple cider. 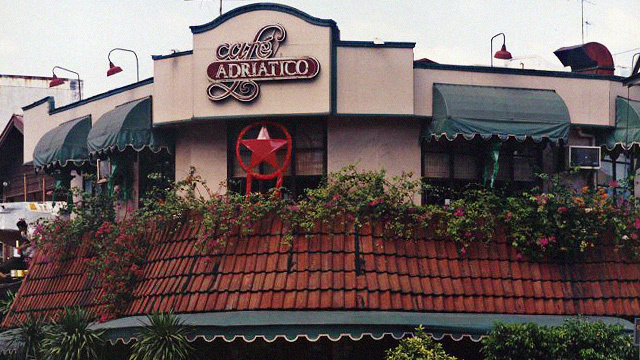 The idea came from chief executive officer's Luis Sia's many visits to the U.S., where his sister lived. "That was where I discovered cider," says Luis, "And it immediately became my drink of choice. So that was when I thought, 'Why hasn't anyone tried brewing it here?'" But there was the question of where to get apples. In the U.S., hard apple cider was born precisely because apples were abundant, and English settlers wanted to produce low-cost liquor. But this hasn’t stopped non apple-producing countries from brewing their own cider. For one, Indonesia’s own homegrown cider, Aldens Cider, continues to enjoy popularity in Bali. "We researched to see if there were other countries who didn’t grow their own apples but were producing their own cider," says Vance Ching, chief operations officer. 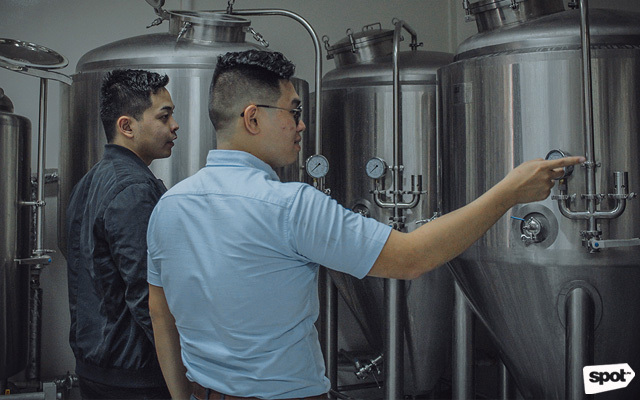 "So we thought ‘Why couldn’t we do it here in the Philippines?’ And we have the other ingredients for the cider here, we have microbreweries here. So we said, ‘Let’s do it.’"
"We had to experiment with which apples to use," he adds. "We could go natural but the shelf life is difficult, especially since we’re just starting out. So right now, we import 100% natural apple juice from Spain." The brewing process of hard apple cider, shares Joey Viray of Joe's Brew, is similar to beer's. "We’re also dealing with sugars, with yeast. Except this time, the sugar comes from the apple juice. 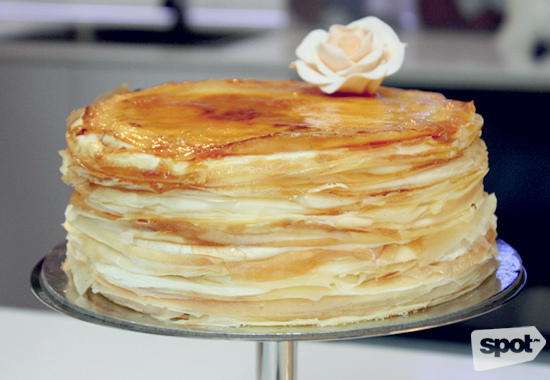 And just like with beer, you can bump up the alcohol percentage, change up the texture." To make hard apple cider, apple juice must first be fermented using yeast. At the brewery on the second floor of Joe's Brew, this is done by mixing apple juice and yeast inside fermenting buckets. "Currently, we are using 30-liter buckets," says Joey, "But we can move to a bigger one depending on the demand." It's important that all buckets are sanitized properly; even the tiniest amount of stray bacteria will create an off-taste in the hard cider. You could even end up with vinegar. Once the apple juice has been fermented, the cider is then transferred to kegs to age them properly. The aging process can take up to six months, depending on how strong and how dry you want the apple cider to be. 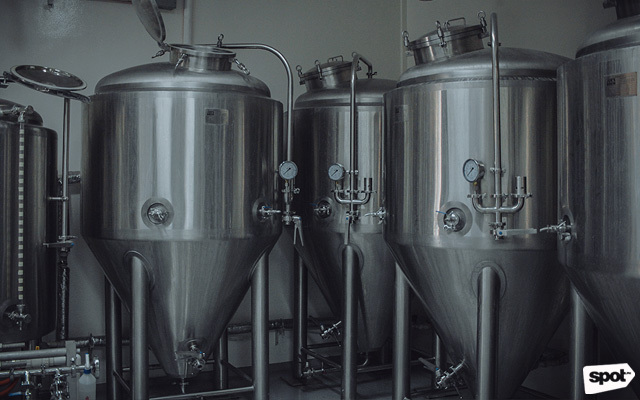 Only then can the hard apple cider be bottled, using counter-pressure bottle fillers to prevent any further oxidation that will affect the taste and carbonation of the cider. 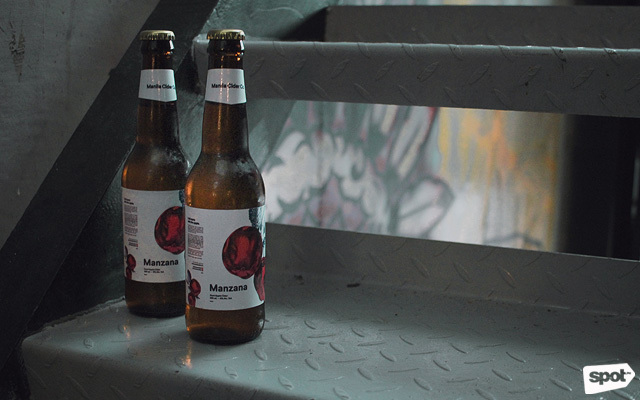 It might seem like a lot of hassle to produce hard apple cider in a country that doesn’t grow apples, but one sip of Manzana Cider, and you’ll understand why. Lighter than beer and with a fizz that resembles champagne, hard apple cider also has a refreshing fruity aftertaste. You can easily imagine yourself having bottles with friends while chilling by the beach, the waves lapping at your feet. That's why it’s enjoying popularity in Bali, and why Manila Cider Co. believes that they can tap into the Philippines’ own thriving beaches—Boracay, La Union, and Siargao. “He’s like our own Walter White [from Breaking Bad],” jokes Martti. Forbidden Fruit: The Manzana Cider Launch is happening today, October 6, at Bar Mathilde, 8483 Kalayaan Avenue, Makati City, from 8 p.m. onwards. 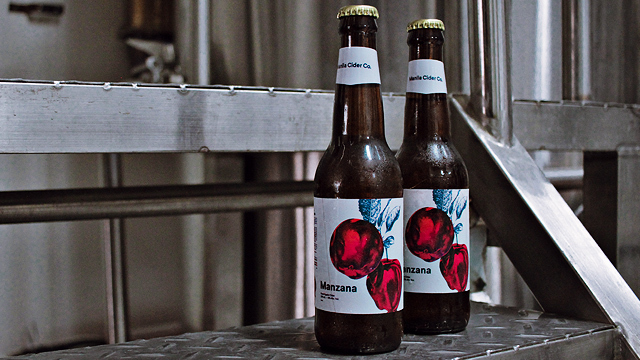 For more information, log on to Manzana Cider’s official Facebook page.